Canberra Helicopters training school is situated at our base in Canberra, ACT. Canberra Helicopters flight training academy focuses on both initial (Learn to fly) and advanced helicopter flight training operations. Private and commercial helicopter licences, endorsement and instructor training are all available from the training facility at Canberra Airport. We invite you to come and visit the team in Canberra or please call to discuss helicopter flight training with one of the team. Want to experience the thrill of flying a helicopter yourself? 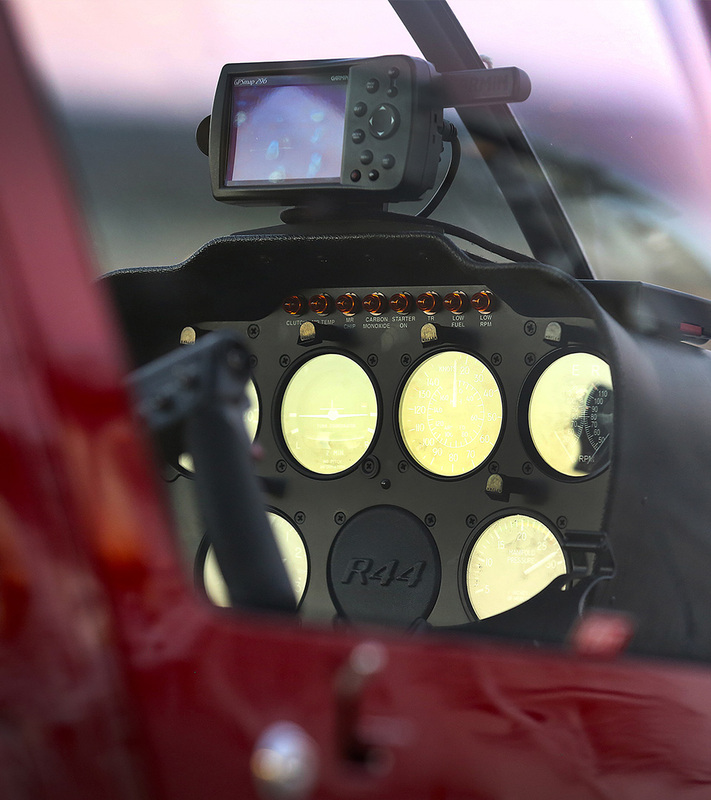 Discover what the various controls do, and what is required to fly the helicopter. 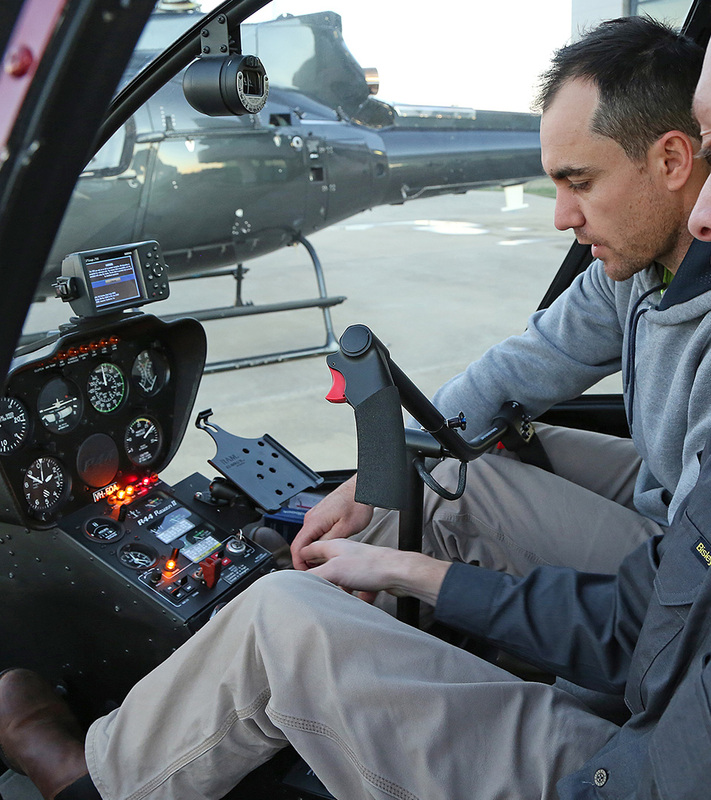 Join your personal flight instructor for a 30-minute flight in a dual controlled helicopter. Before you fly you will be briefed on the helicopter's operations before heading over the beautiful capital of Australia. Flights are conducted in our Robinson R44 helicopter. For something a little more special, you can upgrade the aircraft to our Eurocopter AS350 Squirrel for just $990. Spend some extra time in the air with your personal flight instructor and enjoy a 60-minute flight in a dual controlled helicopter. Before you fly you will be briefed on the helicopter's operations before heading over the beautiful capital of Australia. Flights are conducted in our Robinson R44 helicopter. For something a little more special, you can upgrade the aircraft to our Eurocopter AS350 Squirrel for just $1980. 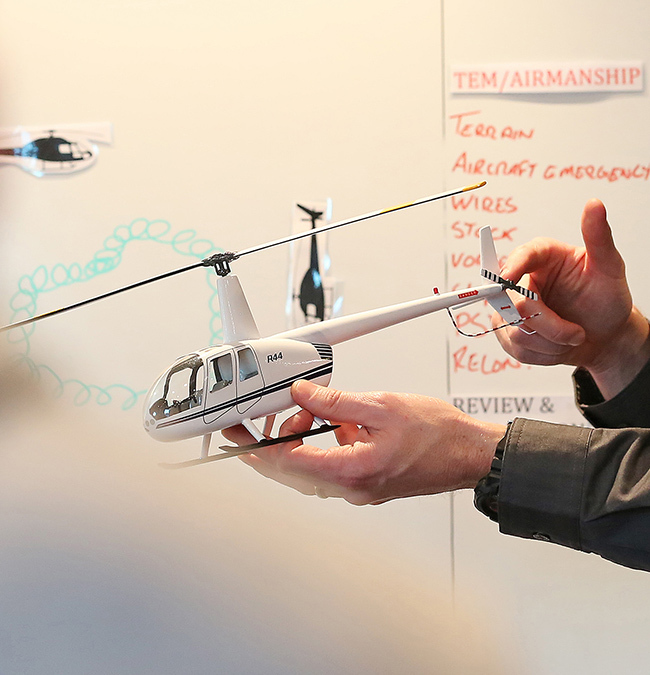 Are you serious about learning to fly a helicopter? 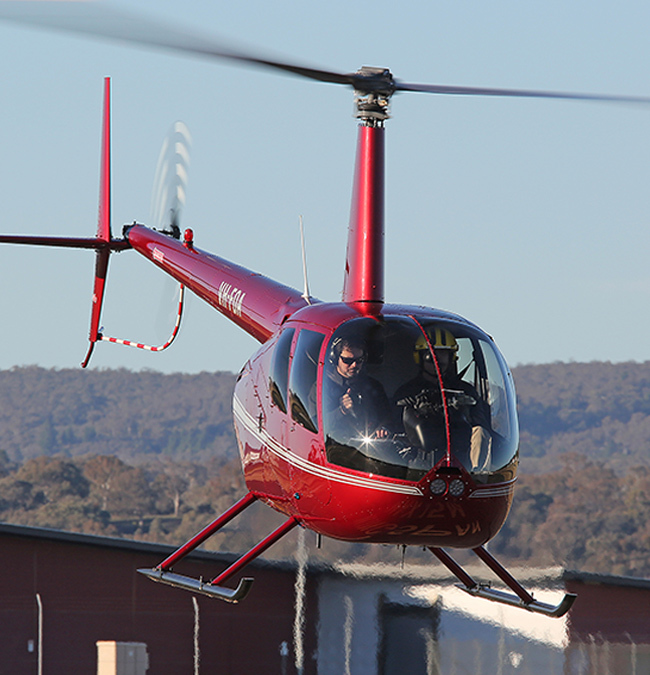 Join Canberra Helicopters training for a more intensive helicopter flight discovery package. This two, one-hour flight package will introduce the basic techniques demonstrated in the Trial Flight, as well as providing you with an opportunity to handle all four controls of the aircraft for an extended period, under the watchful eye of your highly-trained flight instructor. Includes two flight lessons and briefings. An entry level licence for those interested in learning the basics of flying a helicopter. The Recreational Pilot Licence allows you to be able to fly the aircraft without needing instructor supervision. This licence does however come with a few restrictions. Open the door on some amazing opportunities and experiences by becoming a private helicopter pilot. Canberra Helicopters flight school will allow you to gain the experience and knowledge to fly yourself for business or pleasure. 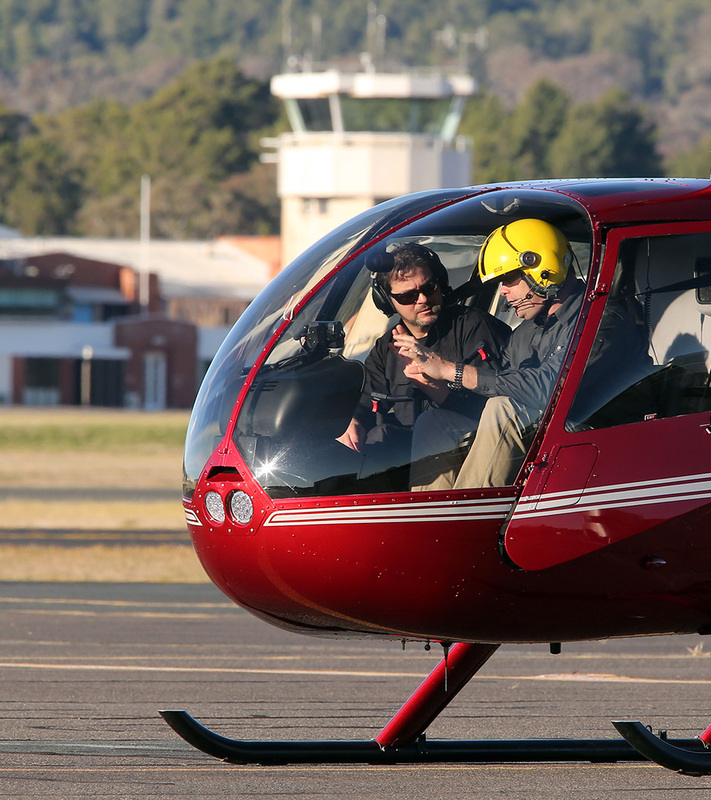 Flying the Robinson R44, the most utilised private helicopter in the world, you will gain your training from some of the most experienced pilots in the Australian helicopter industry. 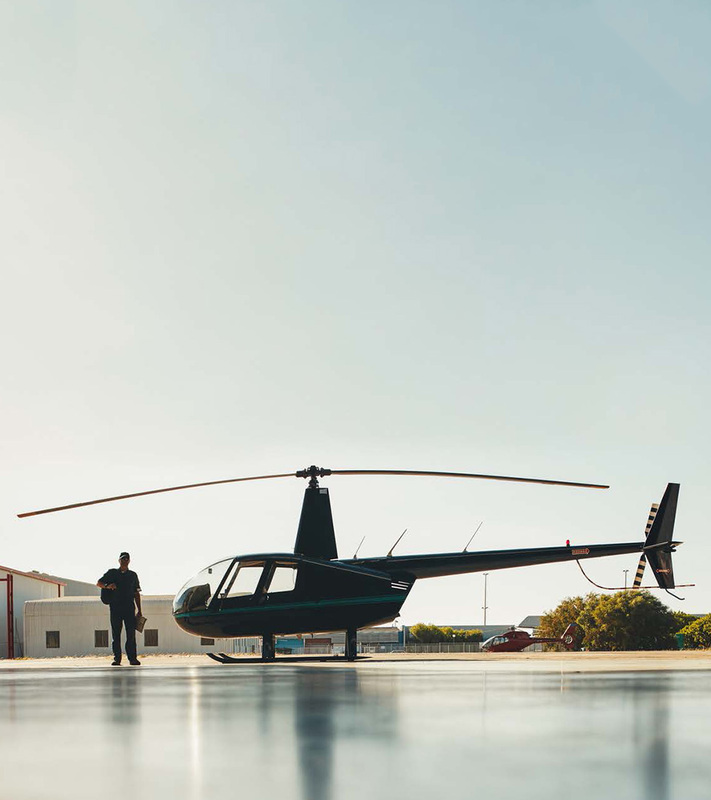 Not only will you gain your private helicopter license you will be mentored throughout your flying experience once you have gained the license to fly off on your own. Canberra Helicopters staff are available to fly with you as a safety pilot, recurrent training, advanced flying and available on the phone if you have a question while flying away. Canberra Helicopters can help you purchase a helicopter and manage the machine if you require to make your flying experience less stressful. 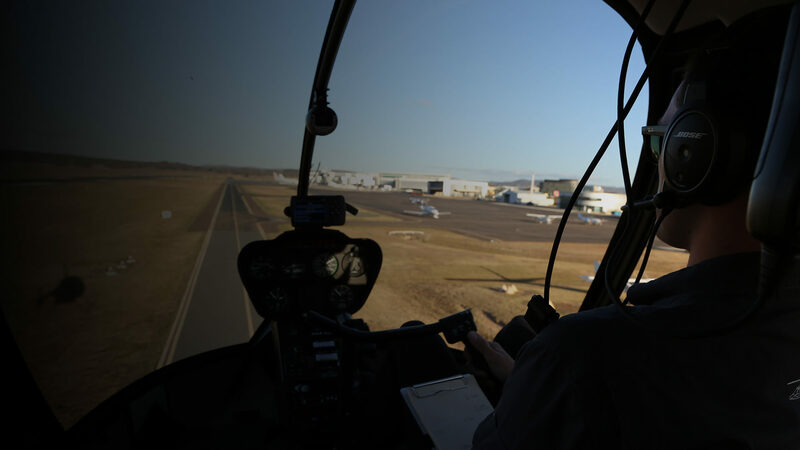 Canberra Helicopters conducts commercial helicopter flight training from its Canberra base at Canberra Airport. As a student Commercial Helicopter Pilot, you have many options of where to train and how to conduct your training to provide you with the best chance of obtaining that first job. As a commercial pilot you may find yourself flying tourists around Ayers Rock, fighting fires in the high country, touring the amazing Kimberley or rescuing a lost hiker. These are a few of the hundreds of jobs helicopter pilots perform daily in Australia and around the world. How do you get there you ask? With hard work, study and some fun along the way, in 6 months you can achieve your goal of flying for a living. This time period is based on full time study and has been achieved by many student pilots eager to start their flying career. As a commercial helicopter pilot student, what are the benefits of choosing Canberra Helicopters Training? Melbourne, Sydney and Gold Coast airspace is so busy your training time and money is not well spent. Canberra is in controlled airspace and has fantastic training areas with minimal delays. Surround yourself by experienced pilots who operate one of the very few IFRNVFR charter business in Australia. Socialise in the National Capital. Great food, wine, beer and sports are all in Canberra with many university’s having campuses in and around Canberra. Canberra was voted the best place in the world to live in an OECD report, all you have to do is talk to the Canberra Helicopters team and you will find out why. Ski fields and beaches are only 40 minutes’ flight time or 2 hours’ drive away from Canberra. 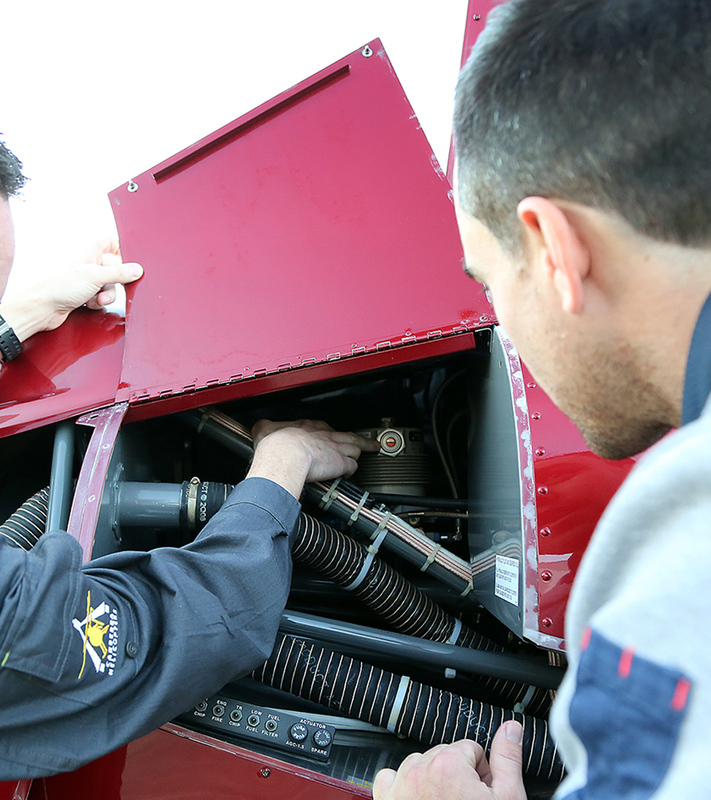 Contact the training team at Canberra Helicopters to discuss your rating requirements and how they can help you or your company achieve its training requirements.